I am not even going to think about the amount of money I spend. But I am changing my ways. 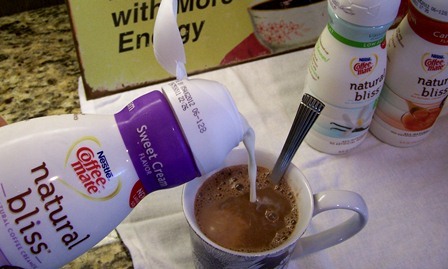 and now I have discovered Natural Bliss from Coffee-Mate. These two little things are going to rock my world. Fresh hot coffee that is rich and creamy. my "Mr. Perfect" to share my morning, afternoon, and evening coffee with. I also am not a big fan of preservatives and crazy ingredients I cannot pronounce. but I like a little flavor as well...so I find myself adding in some flavor. 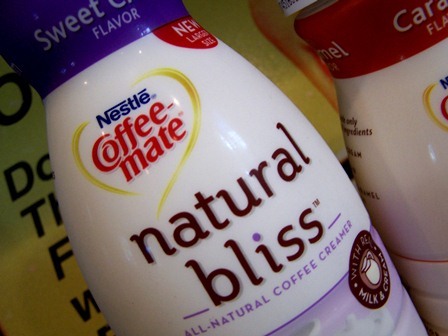 I recently had the opportunity to try Coffee-Mate's Natural Bliss. With Natural Bliss, I can get the best of both worlds. It is all natural with 4 simply scrumptious ingredients! and I feel good serving it to my guests! and to satisfy my coffee-house-coffee cravings. 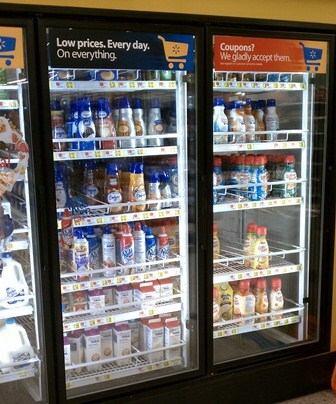 and other brands of both refrigerated and dry creamers. 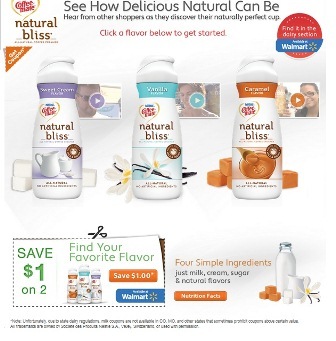 If you have not seen Natural Bliss in your store just shoot on over to the website to locate "Where to Buy" this. be sure to grab a coupon for $1 off 2 at Walmart. Seeing, I am saving money already. My daughter and I shopped around a bit. ...but Natural Bliss was just calling my name. I was anxious to try it. Of course I needed to pick up some more coffee while I was at it! 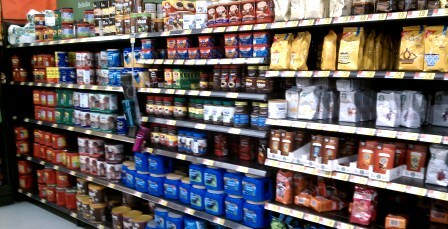 Walmart has a really nice selection of coffee to choose from. Check out all of my shopping trip on Google+ right here. Of course I had some whipped cream to top it off! 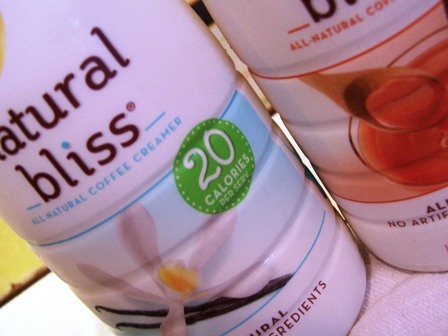 Natural Bliss is a tasty addition to my coffee. And I did mix things up a bit. there is nothing like 14 opinions, right? 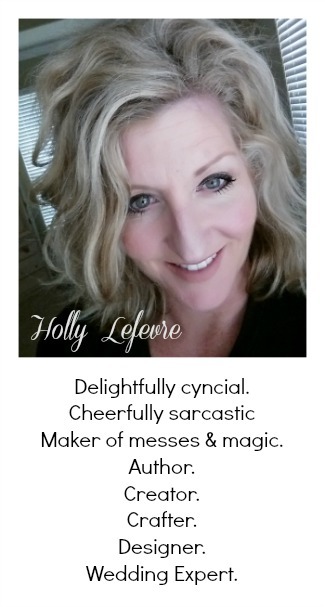 and my favorite is....Sweet Cream. but also appreciate the fact that I can pronounce all of the ingredients! on some other "unsuspecting" guests! You can get all of the nutritional information and other goodies right HERE! 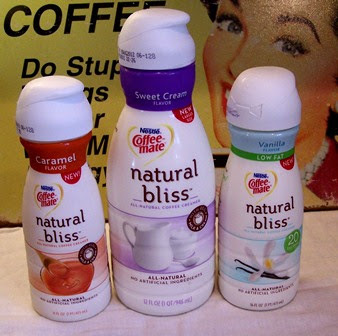 Be sure to follow Coffee-Mate and Natural Bliss on Facebook! Had to comment cause one of my favorite things in life is coffee. I wish I could drink it all day long! I really only drink my coffee with almond milk, but I do love flavoured coffee. I'm going to have to try this stuff, no preservatives, awesome. Yum! 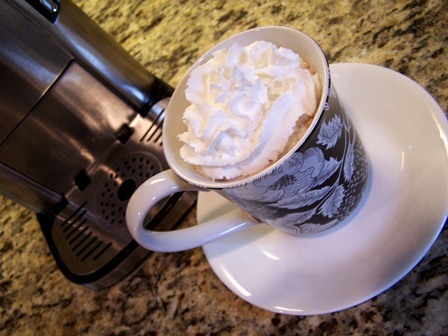 Whipped cream to top it off looks extra delicious! That looks delicious! I also love your sign in the background, I've seen it before and it always cracks me up!